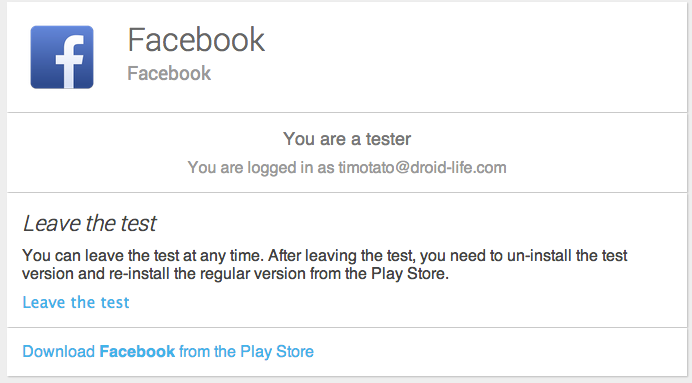 Facebook announced at an Android whiteboard meeting today, a beta program to help strengthen their mobile app offering. Allowing a small portion of users access to software before a full on update/launch, Facebook is hoping to cut down on issues that could potentially arise if they miss something during their internal testing phases. This beta is just like similar ones we have seen from apps such as Falcon Pro, Nova Launcher and Sliding Messaging. What makes this one different is that Facebook is the first major company to adopt Google’s newest beta program platform. So far, we’re digging it. To sign up and get yourself into the beta, join this Google Apps group here and then download the app from Google Play. It’s that simple to become a tester. Thursday Poll: Are You Covered by Verizon's 4G LTE Network?